The Ozone Holiday World Gym boasts an impressive location on the top floor of the popular family entertainment center Holiday World Maspalomas. 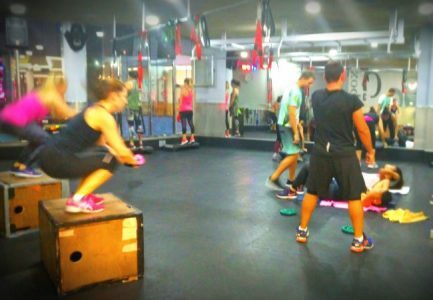 This gym is the fitness buff’s dream, having been completely renovated in 2016 with the highest quality fittings. 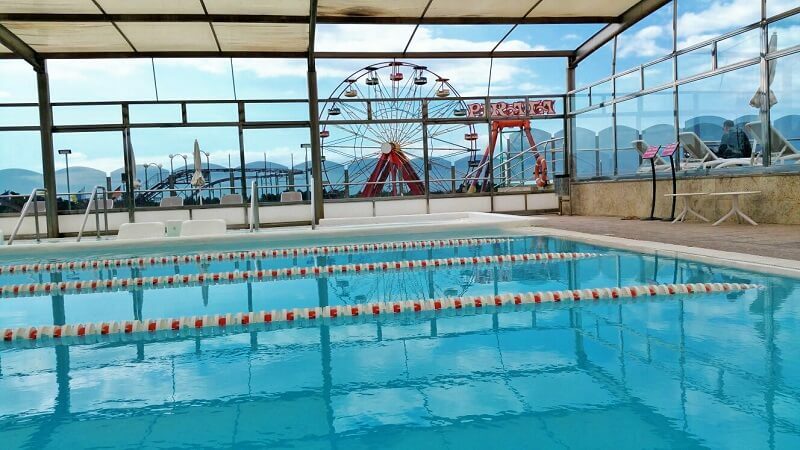 Holiday World Gym has it all! 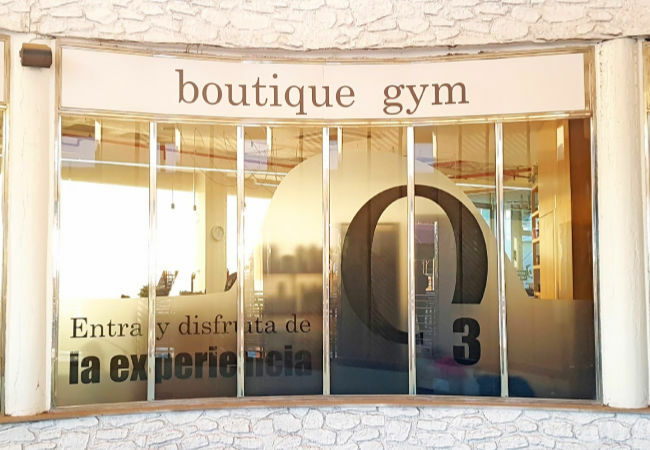 The Ozone Boutique Gym, as the Holiday World Gym is called officially, has it all! 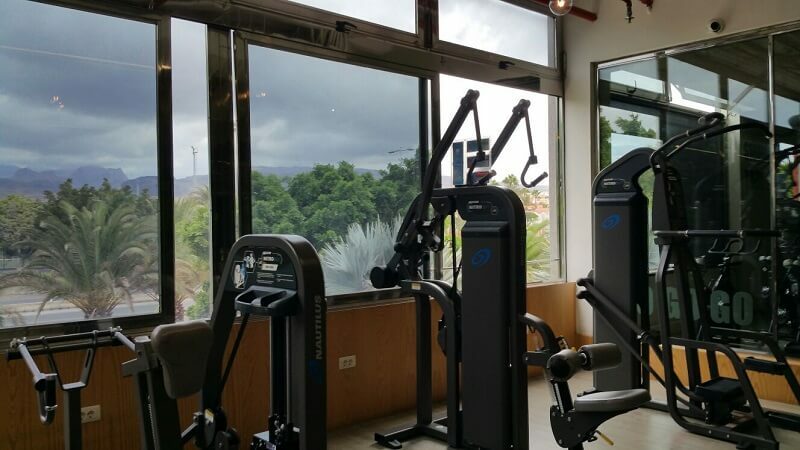 The fully equipped gym enjoys fantastic views over Maspalomas Park, has a large free weights section and an elevated cardio zone, with numerous cardio machines in the centre. 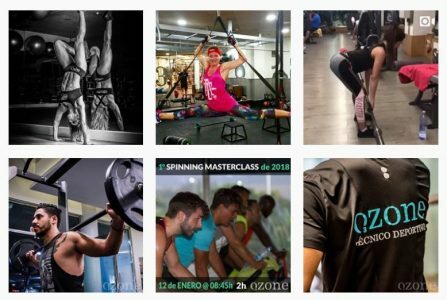 What makes the OZONE GYM special? 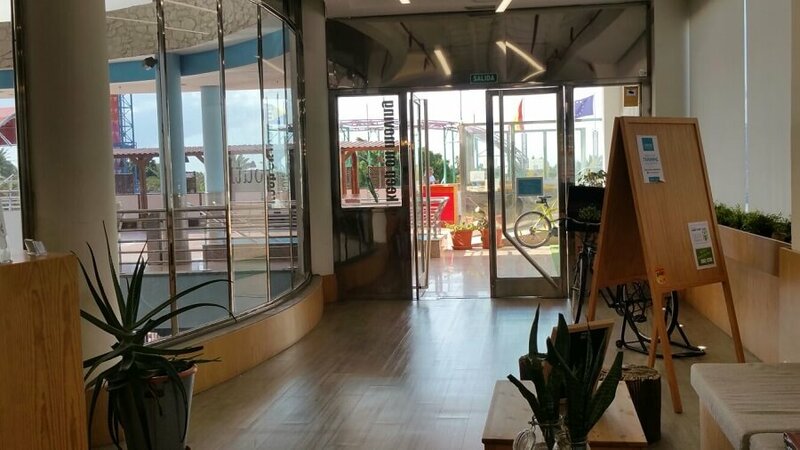 There are other gyms in Maspalomas which have good gym equipment and some of them probably also nice views. 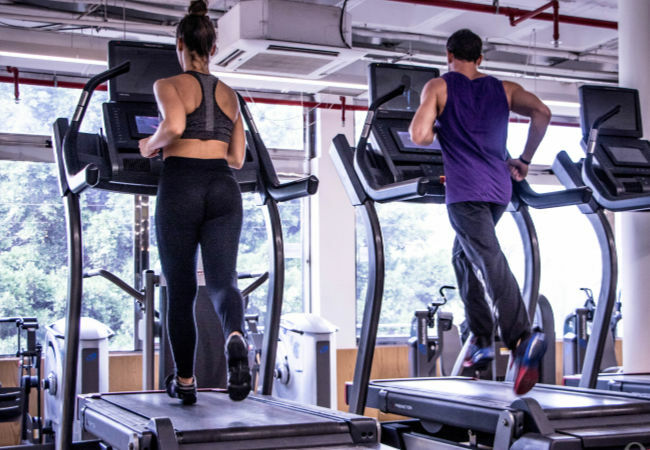 But what makes the Ozone Gym stand high and above all others is the combination of fitness, wellness and beauty offers – all under one roof. 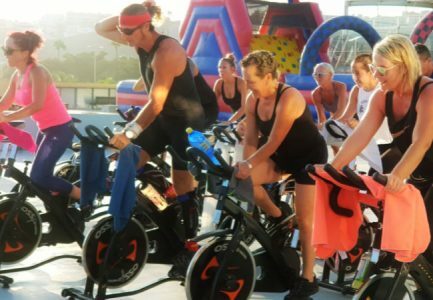 Nowhere else in the south of Gran Canaria will you find such a large offer of fitness classes as here: Zumba, Yoga, Boxing, Cross-Training, Jumping, even Yogilates, classes for kids and much more. The huge selection of classes you can see on their website clicking right here to open in a new window. The Ozone trainers are some of the best we have seen. They are always helpful to anybody who asks or seems a bit unsure what to do next. Each client can request a specialised training plan which is included in their monthly fee. 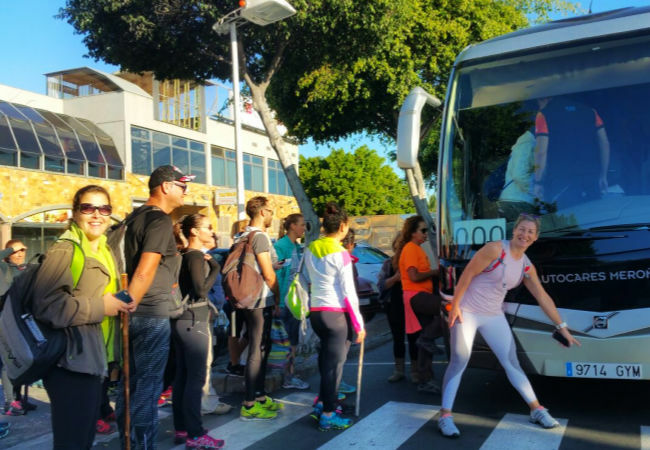 Periodically the gym organizes special events, like a triathlon, a master-class, a walk in the mountains or even a group fitness trip with flights and accommodation. The best place to keep updated is on their busy Social Media channels Instagram & Facebook, whichever appeals the most to you. 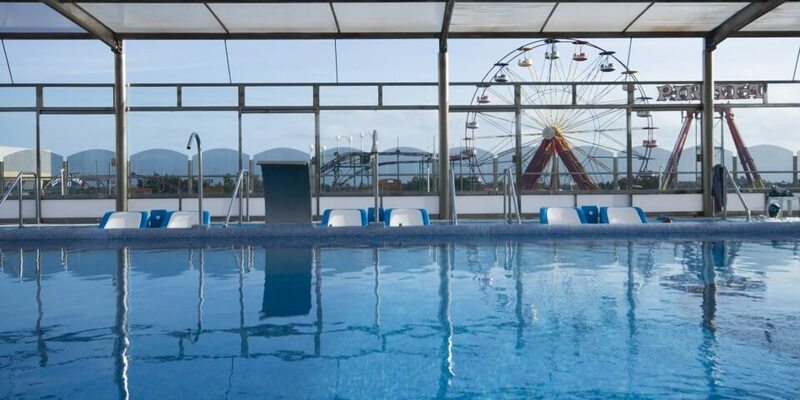 The heated exercising pool with floor to ceiling windows on all four sides has a thalassotherapy, jacuzzi section and chill out area along one side. You can easily spend half a day here without noticing the passing of time. Many clients have a work out in the morning and then go for a swim and chill-out at the pool area. 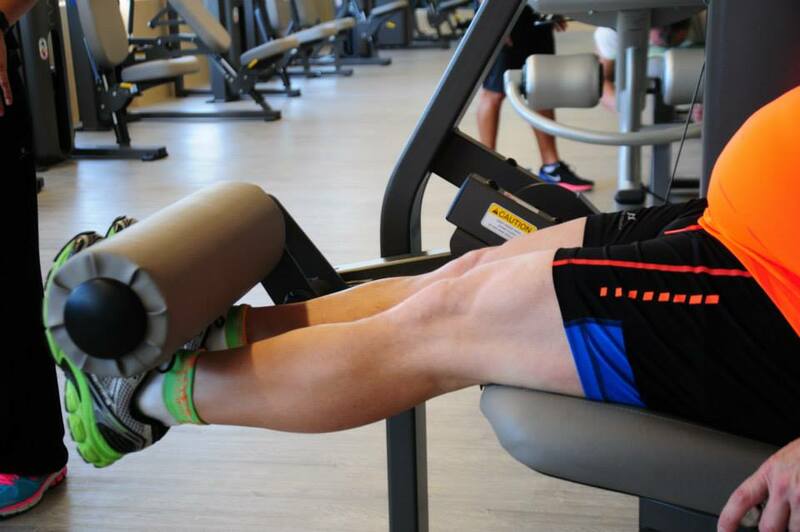 The impressive facilities are open to both gym members and daily visitors alike. Everyone is able to access the gyms great installations. 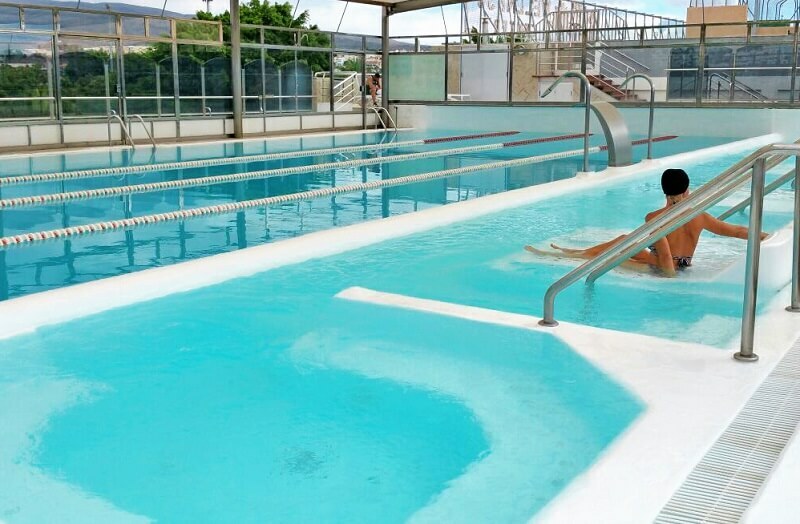 For the official price of 65€ per month you can enjoy all their facilities 7 days per week. Daily rates for holiday makers are available as well as 5 or 10-day passes. 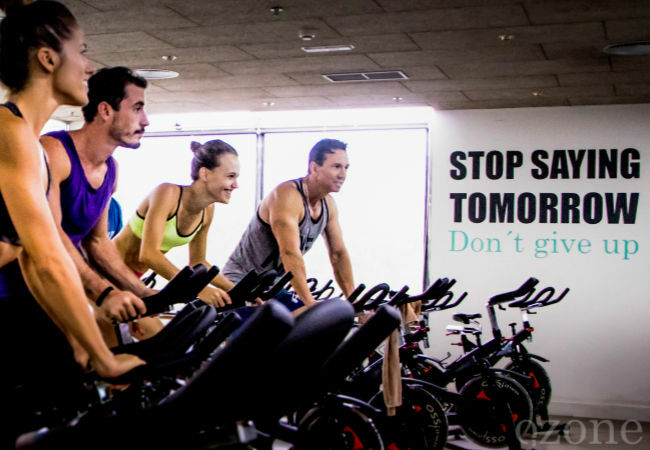 Watch the gym’s social media portals, where they announce their special offers and events on a regular basis. 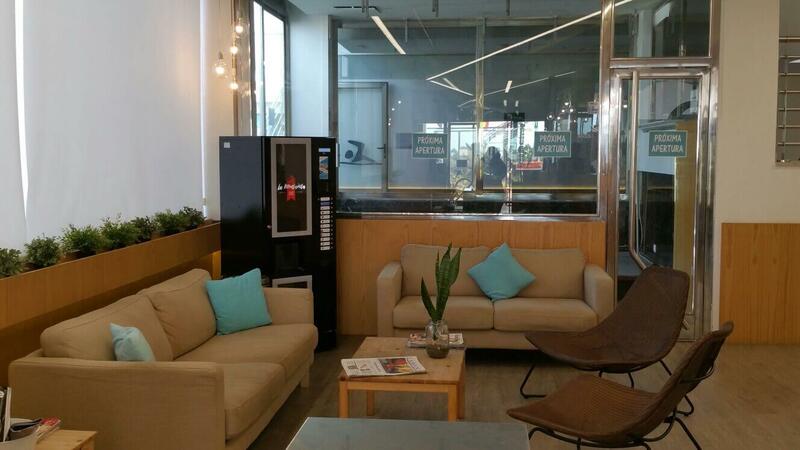 If you are curious and want to know more, call in to Ozone Gym today and enjoy a guided tour around their installations. We are sure that you will be impressed!